Grand Theft Auto V is the latest installment in the Grand Theft Auto series. It was released on September 17, 2013, for PlayStation 3 and Xbox 360. The game was released on Tuesday November 18, 2014 for PlayStation 4 and Xbox One, while the PC version was released on Tuesday April 14, 2015 for PC. 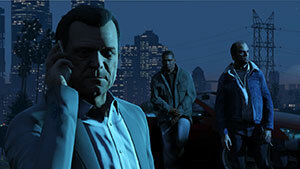 Grand Theft Auto V is the first game since the original where the player can control several characters. 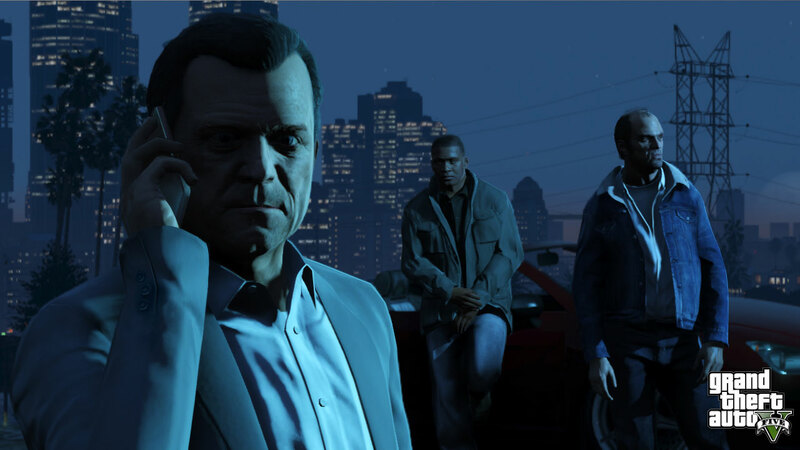 The player can switch between Michael De Santa, Trevor Phillips and Franklin Clinton at any time off-mission, and at certain points during missions. The idea is to expose the player to as much of the action as possible during missions. Everything has been marked for you 100% completion nutters: unique stunt jumps, item pick-ups, etc. You'll also find videos, screenshots and additional tips n' info to help point out the location of hard-to-find objectives. We've assembled a thorough collection of mission guides and walkthroughs - soon to be complete with HD video - for Michael, Trevor and Franklin's missions. There are about 80 missions in total. Make cars fall from the sky, change the weather on command, and more! Grand Theft Auto 5 contains a whole bunch of chea... err, arbitrary gameplay enhancers. All cheats should be entered during normal gameplay.